Below, I took the "Aldama Challenge" after my copy came in the mail. I found Charles Ramirez Berg's Foreword funny when he says that "Robert had smuggled a Latino protagonist into a popular genre" (x). Aldama makes an interesting point about Rodriguez's relationship with technology: "as the technology progressed, so too did Rodriguez...he learned how to use a Steadycam...he taught himself HD film techniques...he honed his CGI, animatic, and green screen skills" (Aldama 4). Similarly, his writing of films scores shows how scoring is "a crucial shaping ingredient that should not be left as an afterthought" (12). In the last chapter, Aldama interviews Rodriguez, which is when Rodriguez discusses the issue of Latinos in Hollywood, or the lack thereof: "The problem I had when I went to Hollywood was that there were no Latins working in Hollywood. It's a very reactive business. It's not really innovative...This just shows that we not only need to pressure Hollywood to write more Latin characters, but we need more Latin filmmakers who can go in and make that argument and create in their own image so that it's authentic, and yet universal" (Aldama 141). 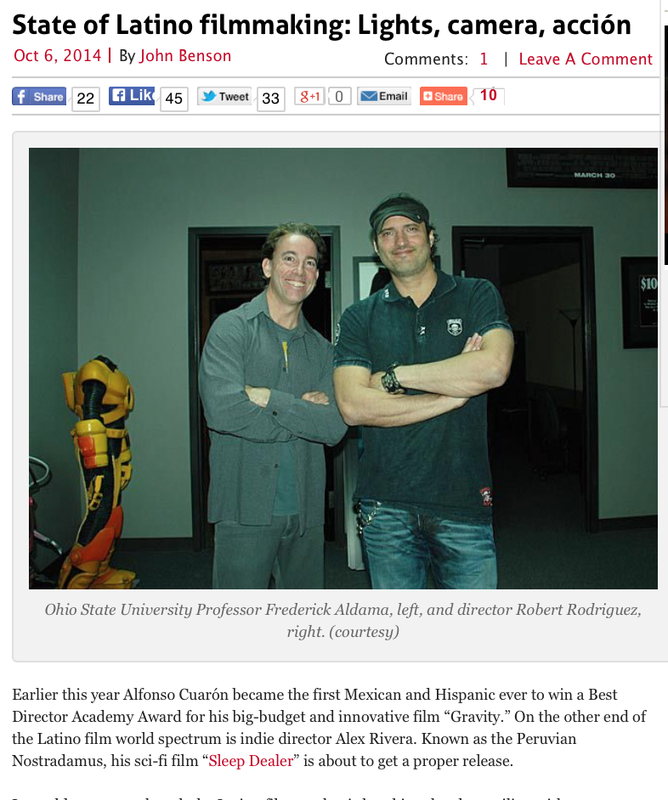 Aldama talks Robert Rodriguez in his new book The Cinema of Robert Rodriguez with VOXXI. Benson points out the strength of the Latino audience: "As for the future of Latino filmmaking, Aldama said he expects the market to expand in all avenues in the near future once Hollywood realizes Hispanics, as the majority minority, has $1.3 trillion in buying power." 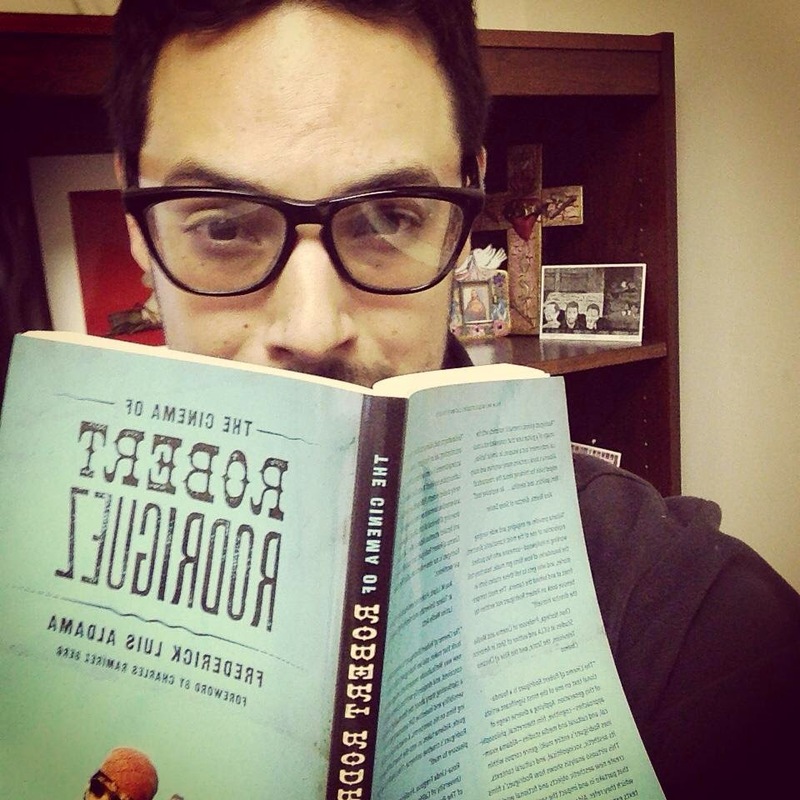 I've posted on Aldama's book on Latino Comics prior. This weekend, Aldama will be leading some panels at the Latino Comics Expo.